Under the direction of Artistic Director Frank Chaves, River North is a jazz-based contemporary company. The "Chicago Sun-Times" has described River North Chicago Dance Company as "enthralling, a hugely attractive and technically impressive company," while "The Arizona Republic" has said that the company "Sizzled like ice droplets on a hot skillet." 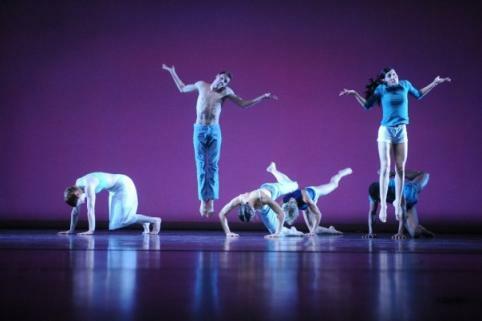 Founded in 1989, the company has established itself as one of Chicago's leading dance companies, receiving critical acclaim on both the national and international level. Under the direction of Chaves, the company embodies a true flavor of "Americana" in its dynamic repertoire. The core works developed by Chaves, along with an array of pieces by nationally and internationally renowned choreographers, construct the varied, eclectic and powerful repertoire that River North Chicago Dance Company possesses. The company previously performed at Hope College in 1998. Individual tickets are $18 for regular admission, $13 for senior citizens, and $6 for children 18 and under. Individual tickets and season subscriptions are available at the ticket office in the main lobby of the DeVos Fieldhouse, which is open weekdays from 10 a.m. to 5 p.m. and can be called at (616) 395-7890. More information about the season may be obtained online by visitinghttps://hope.edu/gps/.